One of the ways I become inspired is by the presentation of food in France. It doesn't matter how simple the meal is, served in a gourmet restaurant, a brasserie, or on the beach, it always looks like an edible painting. Like an good artist, I then copy and "try" to create the same with my own hands. 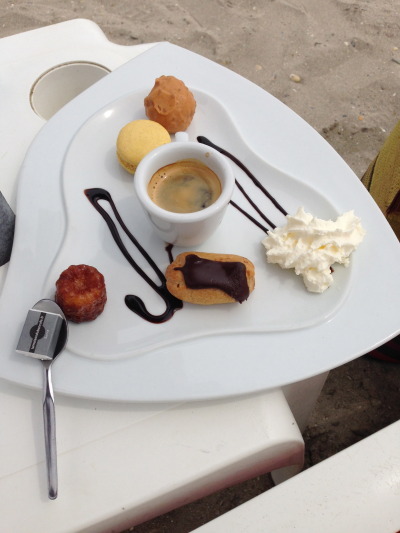 Cafe Gourmand served on the beach -- a decadent day! Melon with salad, mozarrella, jambon sec, and tomatoes inside. the original Melon was piled high like a bowl.